London School of Economics, M.Sc. Alex regularly acts on Canada’s most high profile and complex transactions, representing private and public companies, private equity sponsors, boards of directors and special committees on a diverse range of strategic mandates. 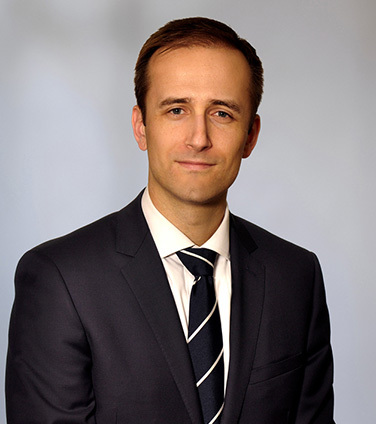 Alex has completed two secondments to the Office of Mergers & Acquisitions of the Ontario Securities Commission, first in 2012 where he helped develop a new rule on shareholder rights plans as well as proposed amendments to the early warning regime, and again in 2017 where he was one of the primary drafters of Multilateral CSA Staff Notice 61-302 Staff Review and Commentary on Multilateral Instrument 61-101. In addition to transactional work, Alex has experience advising companies with respect to continuous disclosure matters, exemptive relief applications and general corporate matters. AltaCorp Capital Inc., financial advisor to CanniMed Therapeutics in connection with the acquisition by Aurora Cannabis Inc. The Central Group Alberta Ltd. The Central Group Alberta Ltd. in the acquisition of Central Fund of Canada Limited by Sprott Inc.
Entertainment One Ltd. on its $225 million acquisition of Alliance Films; on its US$215 milion proposed acquisition of Audio Network. GlobeStar Mining Corporation on its $186 million acquisition by Perilya Ltd.
Lithium Americas Corp. on its all- stock merger with Western Lithium USA Corporation. London Stock Exchange Group plc on its proposed merger with TMX Group Inc.
Marlin Equity Partners on its acquisition of Longview Solutions. Moelis Capital Partners on its acquisition of MXI Technologies Ltd.
Penfund Management Limited on its acquisition of Mevotech. Shoppers Drug Mart on its $12.4 billion acquisition by Loblaw Companies. Sterling Partners on its $590 million acquisition of MOSAID Technologies Inc.
Valeant Pharmaceuticals on its arrangements with Pershing Square and on its merger proposal to Allergan, as well as Canadian counsel on its $11 billion acquisition of Salix Pharmaceuticals, Ltd.
Ventas Inc. on its $980 million acquisition of 29 independent living seniors housing communities across Canada from Holiday Retirement Corp.
Fairfax Financial Holdings Ltd. on its dual class share capital reorganization. Inmet Mining Corporation in response to a $5.1 billion unsolicited oﬀer by First Quantum Minerals Ltd.
Lakeside Steel on its $100 million acquisition by JMC Steel. Paciﬁc Exploration and Production on its restructuring with Catalyst Group. A TSX-listed company in relation to an insider bid. A TSX-listed company in relation to a proposed related party ﬁnancing. A TSX-listed company in related to a proposed acquisition. Bank of Montreal in public oﬀerings of medium-term notes and preferred shares. Chorus Aviation in Air Canada’s $97.3 million investment and CPA extension. Chorus Aviation in its $200 million private placement of convertible debt units to Fairfax Financial Holdings Limited. Discovery Air Inc. on its $15 million rights oﬀering and related issuance of standby shares. Hale Capital on its investment in Midway Gold Corporation. Hollis Receivables Term Trust II, Master Credit Card Trust, Canadian Credit Card Trust, CNH Capital Canada Wholesale Trust and CNH Capital Canada Receivables Trust in public oﬀerings of receivables-backed notes. Mitel Networks Corporation on its cross-border secondary oﬀering resulting in the distribution of securities with a total value exceeding $91 million. The Bank of Nova Scotia with respect to oﬀerings under its global covered bond program. The underwriters in public oﬀerings by Caterpillar Financial Services Limited., John Deere Credit Inc., Fairfax Financial Holdings Limited and TransAlta Corporation. Valeant Pharmaceuticals on cross-border equity and bond oﬀerings. What constitutes a MAC in an M&A deal?